SHIP BOTTOM, N.J. - Jan. 17, 2019 - PRLog -- The Southern Ocean County Chamber of Commerce is proud to announce that partner member and Southern Ocean Made Accredited business Jetty Life, LLC has received a New Jersey State Trade Expansion Program (NJSTEP) grant to cover costs in participating in out of area trade shows. The award of $11,000 helps offset the cost of the Outdoor Retailer Show in Denver they attended this past November as well as upcoming iCast Trade Show in Orlando this July. Jetty is a grassroots surf and outdoor lifestyle brand that designs apparel and gear that is inspired by the jersey coast. Their products are available online, through retailers across the country and at their flagship store in Manahawkin. They are a certified B Corp, indicating their commitment to being environmentally and socially responsible. 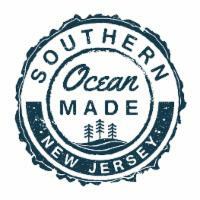 The Southern Ocean County Chamber of Commerce established its distinctive "Southern Ocean Made" Accreditation program in 2017 as part of its Vision 2020 strategic plan. Businesses who have applied and met the criteria of the program have the opportunity to use the certification seal to help increase the visibility of business and the community. Accredited businesses become part of the destination experience , with the Southern Ocean Chamber showcasing products to new consumers through the award winning Surf and Sip Brew Trail as well as featured on the www.southernoceanmade.com website, social marketing campaigns as well as Southern Ocean Chamber assistance with the NJ STEP Grant process. Through the US Small Business Administration, The NJ Business Action Center received funding for the NJ STEP to provide grants to eligible small businesses that wish to sell goods and services to other countries. Grants are awarded to attend trade shows where international buyers are in attendance as well as funding for other projects such as translation of websites and organized trade missions. The Southern Ocean County Chamber of Commerce is celebrating its 105th milestone year of continuous service, and invites all businesses to find out more on economic development programs such as Southern Ocean Made by going to www.visitLBIregion.com, contacting their office at 265 W Ninth Street in Ship Bottom or 609 494 7211. Stay connected on social as @southernoceanchamber and @lbiregion .